Great trumpet player, Stan Reynolds was born on January 16th, 1926 in Lincoln, England. Dennis Ackerman, Mike Asher, Roy Bull, Duncan Campbell, Tommy Cook, Dougie Cooper, Alan Dean, Andy Dennits, Gloria Duval, Charlie Evans, Ken Goldie, Ann Grey, Johnny Hawksworth, Stan Hibbert, George Hunter, Ralph Hutchinson, John Keating, Terry Lewis, Henry Mackenzie, Henry Mackenzie, Alec McGregor, Cyril Narbeth, Chick Norton, Bill Paxton, Charlie Payne,... up to 42 musicians. Stan Reynolds stayed 3 and a half years in Ted Heath Orchestra, but these are the only lineups I´ve been able to trace. But Tommy Whittle soon left the band. They played in the live album Ted Heath´s 100th London Palladium Sunday concert, recorded that same month and released in 1954. After a short stay out of the orchestra, Reynolds rejoined and stayed for 4 years. Bob Adams, Jock Bain, Arthur Birkby, Sid Bright, Maurice Burman, Eddie Calvert, Len Camber, Dorothy Carless, Carole Carr, Jack Collier, Tommy Cooke, Jimmy Coombs, Beryl Davies, Chris Dean, Eric Delaney, Frank Dixon, Sally Douglas, George Evans, Joe Ferrie, Geraldo, Phil Goody, Johnny Green, Harry Hayes, Ted Heath, Leslie Hutchinson,... up to 46 musicians. Ronnie Baker, Norman Baron, George Boocock, John Clarke, Marion Davis, Lennie Dawes, Frank Donlan, Buddy Featherstonhaugh, Johnny Grant, Tony Grant, Brian Hayden, Basil Kirchin, Ivor Kirchin, Harry Kirkland, Ashley Kozak, Trevor Lanigan, Frank Mowatt, Ruby Murray, Johnny Patrick, Jimmy Paxton, Don Percival, Harry Perry, Clyde Ray, Dennis Roberts, George Robinson,... up to 32 musicians. Jackie Armstrong, Kenny Baker, Ted Barker, Eddie Blair, Alan Branscombe, Lennie Bush, Ronnie Chamberlain, Keith Christie, Bert Courtley, Brian Dee, Bob Efford, Jack Fallon, Harold Fisher, Tony Fisher, Bill Geldard, Dave Goldberg, Albert Hall, Ian Hamer, Ronnie Hughes, Hans Koller, Bobby Lamb, Don Lusher, Eddie Mordue, Danny Moss, Bobby Orr,... up to 36 musicians. Jack Bentley, Laddy Busby, Duncan Campbell, Paul Carpenter, Pete Chilver, Jimmy Coombs, Johnny Edwards, Bert Ezard, Aubrey Frank, Alan Franks, Les Gilbert, Ken Goldie, Johnny Gray, Cliff Haines, Johnny Hawksworth, Ted Heath, Frank Horrox, Peter Hughes, George Hunter, Ike Isaacs, Cab Kaye, John Keating, Ric Kennedy, Ken Kiddier, Basil Kirchin,... up to 42 musicians. Around 1973, Tony Bennett announced shows backed by the 32 musicians of the Stan Reynolds Orchestra. Comments: Recorded live in January 1971 with The London Philharmonic Orchestra. Comments: Recorded between September and December 1972. Comments: Recorded live in April 1953. Comments: Recorded live on February 14th, 1954. Comments: Recorded live in December 1971 with the backing of the Bobby Lamb & Ray Premru Orchestra. Comments: Lots of extra musicians, so I´ll be including them little by little. First to mention is Eric Clapton with his magnificent guitar solo on ´While my guitar gently weeps´. The extra musicians in ´Revolution 1 are on trumpets: Derek Watkins and Freddy Clayton, on trombone: Don Lang, Rex Morris, J Power and Bill Povey. Trumpet player on ´Martha my dear´ is Stan Reynolds. My opinion: Fantastic album, with lots of great, eternal songs. John Audino, Benny Bailey, Louie Bellson, Herb Besson, Jimmy Bond, Michael Brecker, Randy Brecker, Hermann Breuer, Dean Brown, Red Callender, Conte Candoli, Billy Cobham, Nick DiMaio, Harry ´Sweets´ Edison, Gene Estes, Rudi Fuesers, Gil Goldstein, Bill Green, Thomas Grunwald, Milt Hinton, Frank Huggins, Howard Johnson, Tim Landers, Jennifer Leitham, Lou Levy,... up to 45 musicians. 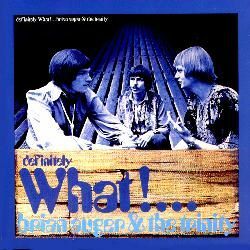 Comments: Single with the A side recorded by Eric Delaney And His Music (featuring Stan Reynolds on guitar), while the B side has 3 tracks credited to The Ovaltine Beat Group (a nickname for Eric Delaney, this times with Joe Moretti on guitar). Comments: Compilation with tracks recorded between 1947 and 1951. Vic Ash, Dave Bishop, Alan Branscombe, Ronnie Chamberlain, George Chisholm, Kenny Clare, Les Condon, Jimmy Deuchar, Roy East, Richard Edwards, Allan Ganley, Simon Gardner, Ian Hamer, Johnny Harris, Tubby Hayes, Derek Humble, Ron Matthewson, Bob McKay, Dudley Moore, Jack Parnell, Dave Plews, Shorty Rogers, Ronnie Ross, Ronnie Scott, Neil Sidwell,... up to 30 musicians.